Filipino Librarian: Library Assistant as Murderer? PRIEST: For five years, Benny's been Professor Chavez's assistant. Usually small things: cleaning, sweeping, keeping the library organized. Benny had an unusual mastery about the Dewey Decimal System. 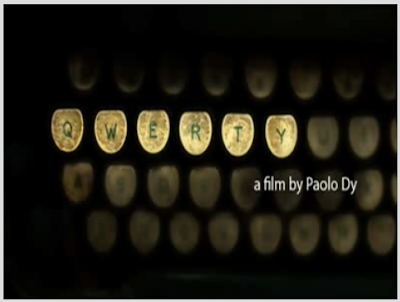 Benny is also the primary suspect in the murder of Professor Chavez in QWERTY, a 5-minute film by Paolo Dy that has been entered in the new filmmaking reality show "On the Lot." Dy is a Filipino filmmaker. Watch the film by clicking on the image above, rate it, and tell all your friends about this film that takes a typewriter and a suspect who can't speak, and draws viewers into the mind of the murderer.